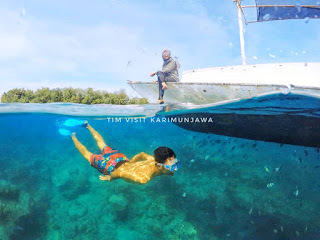 This is my second trip to the island of Karimunjawa in the summer. I have explained where and how to get here in my first post, so this post will more like a photo gallery and stories from each island I visited.I spent only 3 days and 2 nights on my first visit here, but this time I spent 5 whole days exploring the islands with 2 friends and my younger brother. I spent the first night on wisma apung (point 'b' on map), parang island (point 'e') on the second night, tengah island (point 'h') on the third night, and in mainland karimunjawa on the last night. Similar to my last trip, I spent roughly 22 hours just to get to karimunjawa via bus to Jepara and ferry to the islands. After we arrived at the island, we spent no time at the mainland and heading straight to menjangan island for a quick snorkeling.We headed to wisma apung (point 'b' on map) after the sunset and ate some dinner. We got the chance to go back to the mainland for some night walk. At 10pm we go back to wisma apung and called it a night.Morning on wisma apung and after breakfast we're ready to board the fisherman boat and explore the islands of karimunjawa! The first island we visit is menyawakan island (point 'c' on map). 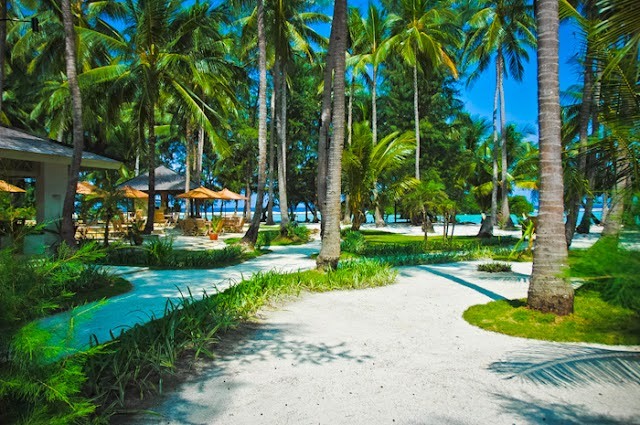 This whole island is one big luxury resort, the Kura Kura Resort http://www.kurakuraresort.com/. It's a wonderful island with beautiful crystal-clear lagoon surrounding it.We didn't spent much time on the island, just a quick tour in the interior and lagoon. Next stop is nyamuk island! (point 'd' on map)Nyamuk is quite a big island with small village. Again, we didn't spent much time exploring the island's interior but we do spent some good time snorkeling around the island.Had some lunch on the boat and we headed to parang island (point 'e' on map). But along the way, we stopped 2-3 times for snorkeling on various little islands. Unfortunately, I didn't remember exactly what's the name of all the small islands we visited, but at least I managed to snap some shots.It's sunset and finally we headed to parang. Enough snorkeling and island hopping for one day. Parang is the biggest island outside mainland karimunjawa. We spend the night in the island caretaker's house. It's quite comfy and nice but the mosquito giants are evil and the high humidity will kill your mood.In the morning we spent our time walking around the village of parang. It's a big village with quite a lot of people. After some breakfast we prepare for our next adventure to krakal islands (point 'f' on map). Krakal kecil (small) and krakal besar (big) are the 2 most secluded islands here and it costs us time to get there. We were told that whale sharks often show up near these islands. 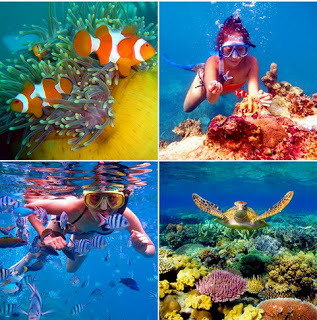 First is snorkeling on krakal besar. This is a big, empty island but sadly, the ocean's current and tides brought garbage from all over the sea into this island, even if this island is uninhabited.The next nearby island is krakal kecil. It's a small island with amazingly vast lagoon. Some rich Italian bought this island in the past (is this even legal?) and that's why local people renovating the island interior.We took our time here on krakal kecil and after an hour or so, we head back to the sea and our next destination is seruni island near mainland karimunjawa. It's another long journey and we took a nap on the boat. At midway between geleang and burung island (point 'g' on map), we stopped for lunch and soon after we head straight to seruni island.It's nearly sunset, so a quick snorkeling at seruni and then we go to tengah island (point 'h' on map) on the north of karimunjawa. It's already dark at the time we reach tengah island so we prepare ourself for dinner and spent the night on this beautiful, small island.I wake up very early in the morning for a walk around the island and got some beautiful morning shots.Today we're going to explore nearby islands, but first we're going to visit a small harbor on the main island of kemojan (point 'i' on map)After the brief resupply on kemojan, we headed to cendekian island (point 'j' on map) up north. Of all the 16-18 islands we visited here, this is definitely my favorite island. Maybe it doesn't have great coral garden, but the beach here is so beautiful it made me forget that I actually visited all those great islands yesterday.The boat can't get near the island because of the corals surrounding the island, so we got to swim really far to the shore. It's a good exercise and it's worth every effort. Unfortunately, since we have to swim there, I couldn't bring my digital SLR, so the only photos taken here are only from my underwater pocket digicam, but it won't stop me to take some great photos.I broke my snorkel when we go back to the boat, so I got a little bit of trouble and spent much of my stamina swimming back there, but thank God there's a spare snorkel on the boat. The last island we explore is Cilik Island, near tengah island. This island have the best underwater corals. It has a dock and unfortunately I cut my finger when I'm snorkeling around it. Blood is gushing out of my finger, fear the shark would smell it (blame the movies) I immediately go back on the boat. Thankfully I got enough photos for my collection.Finally our time exploring the islands are over and after we took some rest at tengah island, we go back to the mainland karimunjawa and book a room at an inn.We had time to explore the mainland before it's dark and we rent a motorbike for a good stroll along the island. Eventually we go back to the inn to have dinner and some rest. 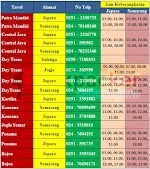 The following morning we go to the harbor and catch the ferry to Jepara and a bus to go back home.